North Star Cherry. 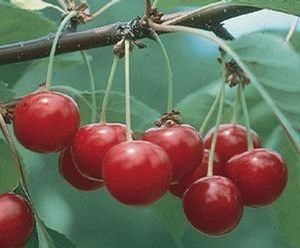 This pie cherry produces reliable crops of very large red fruit. Self pollinating. Semi-Dwarf. Keep soil evenly moist but well drained.